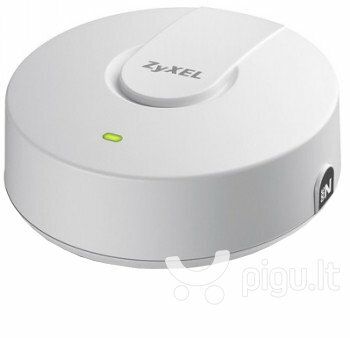 Different from traditional business routers, the slick "smoke detector" ceiling-mount design of ZyXEL NWA5120 Series provides better coverage and performance. The NWA5120 Series is a PoE AP with a multifunction design that solves all problems by offering internal as well as external antennas to enhance wireless performance and to eliminate coverage dead spots. Moreover, the signal outputs have been fine-tuned to provide easy RF planning and excellent signal coverage especially for hospitality and education environments.